If you happen to be in the capital next week, get yourself down to HMV to take part in the fun. More than half a million Americans fell under the Wii's spell at its worldwide debut last weekend, and many are predicting similarly strong demand in Japan this weekend. Europeans, too, will soon be joining the party, and Nintendo has revealed its launch event plans. Nintendo and HMV will be hosting the official midnight launch event for the Wii at the flagship HMV store on Oxford Street in London. 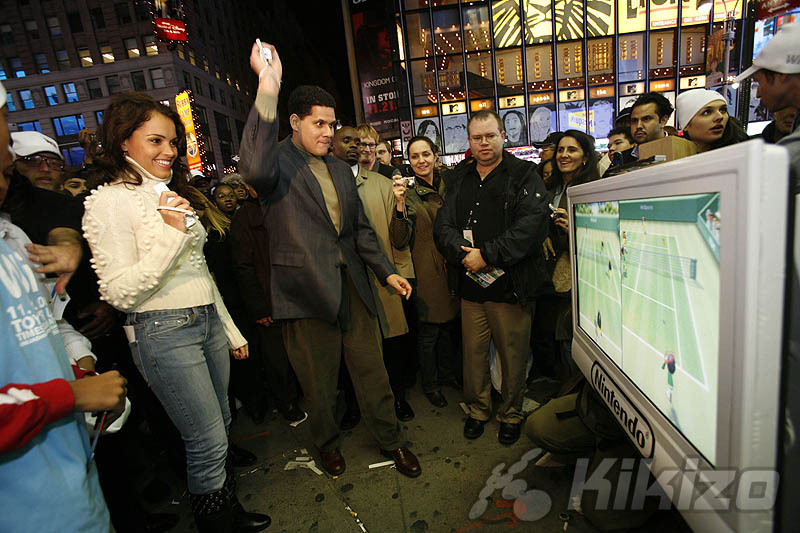 The action begins around 11pm on Thursday, 7 December, where you're invited to come play Wii games against celebrities and other Nintendo fans. Ian Wright, Jodie Kidd, Pat Cash and Ricky Hatton will all be there, as will Nintendo legend Link, starring in the hotly tipped Wii launch game Legend of Zelda: Twilight Princess. The first 200 people who buy the new Legend of Zelda for Wii are in for a treat. Nintendo will be handing out limited edition Legend of Zelda: Twilight Princess tins for you to store the game - or sell on if you're more capitalistic than sentimental. In the absence of the PlayStation 3, a buzz has built around the Wii's arrival. Pre-orders are running out fast - they last just minutes at Amazon.co.uk - and many people will be fighting to get what is looking to be a big hit this Christmas.